Home » Budget » Emergency Fund – Do you really need one ? An emergency fund is nothing special. It is just a simple bank account where you store away some money that you may need for emergencies. A general rule of thumb is to store three to six months of your expenses. It is important to base that on your expenses and not on your income. But some people will save away more than one year of expense. There is something really important about an emergency fund. If you believe that you need to have one, you should have one in a very liquid account. It does not make sense to invest your emergency in highly liquid stocks. If you need the money today, you may have to sell at a very bad price. It should be in a savings bank account. Why you should have an emergency fund? In case of emergency, you have something to pay it. Imagine you have a very large medical bill coming (2500 CHF), can you pay it? Or if your car breaks down and you have to replace it. There are many more reasons that make people want to have an emergency fund. In general, I believe having an emergency is a great thing. But they have a large cost. And most people do not consider this cost when they advise an emergency fund. Emergency Funds have one big problem: The opportunity cost. The simple fact of not investing this money is costing you. You could invest this money in an ETF that would give you an average 5% per year (I am being conservative). 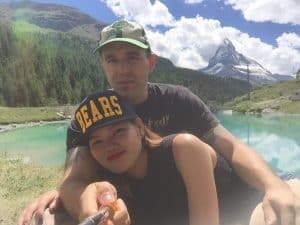 Let’s take my current emergency fund of 15000 CHF as an example. Investing it could yield me 750 CHF per year. This is a lot! And this is not taking into account compounding interest over the year. You need to be aware of this. If you have access to high yielding interest account, it may be acceptable. But we do not have anything like this in Switzerland. If your emergency fund yields you less than inflation, you are actually losing money every year. In most countries, saving accounts have lower interest rates than inflation. This is almost always the case. If you really want an emergency fund, there is nothing you can do about this cost. But maybe you do not need one. Or maybe you need a smaller one than you think? Of course, not having an emergency will not prevent you from having to pay for an emergency if it happens. So, how to pay if there is an emergency? If you have a large limit on your credit card, you can actually pay a lot of emergency bills with it. Or withdraw money to pay for them. If you are saving a large percentage of your income, you have a lot of margin to pay for emergency each month. That just means you will invest less the following month. If you have a health insurance, you only have to pay the deductible. 2500 CHF for me. If you have a car insurance, you only have to pay the deductible as well. If you get fired or do not find a new job after the current one, you should have unemployment insurance for several months. And unless you did something really wrong, if you get fired, you will get a severance package. If I die, I have got a life insurance with which my wife can live several years. Lots of things can be planned. For instance, it is not very difficult to estimate when you need new tires. This is something you can budget for. You should try to plan for big expenses. As you can see, you are already protected for very large unexpected expenses. If you have a stable income, a good credit card and you save a large part of your income, you can have a small emergency fund only. Or even no emergency fund at all. Of course, if you have no insurance for anything, this may not be the same issue. You need to study the risk you are not protected against. Of course, you should not take my word for it. Big ERN at earlyretirement.now has an emergency fund of 0$ and gives you 10 reasons why they are not good. Go Curry Cracker also mentioned that Emergency Funds are overrated. If you have a strong financial status, you may not need an emergency fund as strongly as you think. After having my research on the emergency fund, I am now realizing that my emergency fund is too big. I keep an emergency fund of 15’000 CHF. This a bit more than 3 months expenses. We are able to save up to 50% of our income each month. That means one salary is covering the expenses of two months. We can also cover about one month expenses with our credit card as well. I have a health insurance with a deductible with 2500 CHF deductible. And I have a full insurance for my car with a deductible of 1000 CHF. That reduces the risk highly. I will reduce my emergency to 10’000 CHF in a first step. I may reduce it further later. For now, I do not want to take any rash decisions. Currently, I am transferring my second pillar to my new company pension fund. Once it is done, I may invest a lump sum into my second pillar. Or I may invest that money in my broker account. Or maybe a mix of both. I will tell you what I am going to do once I did it. I will wait until the end of this month anyway. Emergency funds are a good tool to protect you against big emergency expenses. However, they have a big cost because that money is sleeping without bringing any interest. Generally, bank accounts interest is lower than inflation. So your emergency money is losing value every year. Moreover, you are generally more protected against big expenses. In my opinion, an emergency fund is not a bad thing. But you should not have a too big emergency fund. If you have an income, I do not see the point in having an 8 months emergency fund. If you are able to save a large part of your salary, you are already covered for some big expenses. And of course, you need savings! Nobody advises you to have zero savings. But you should invest more of your savings. If your financial situation is bad, the first thing you need to do it to get out of debt. Then, you need to increase your savings rate as much as possible. The emergency fund will only come after this. Do you have an emergency fund? How many months of expenses do you keep into it? If you have a family with kids, you might need to increase your emergency fund. We wrote once a blogpost about the size of an emergency fund dependent on your family situation. With your savings rate, there is no need for a big fund, I agree. With 3 teenagers kids our emergency fund is more than 1 year now to cover our expenses. I completely agree! It’s highly depending on each person’s situation. It needs to be reconsidered based on the possible emergencies. If you have several teenager kids, you should have more of an emergency fund. And it also depends on the income and on the savings rate. I would still think that 12 months is a bit too much though, no ? “1 year now to cover our expenses.” The purpose of an emergnecy fund is NOT to cover your expected expenses, but unexpected ones. I also agree that you should not want to cover your expenses with it. However, your running expenses are more easy to compute than your unexpected expenses. Moreover, loss of job will have a cost directly related to your running expenses.